When the cellular tissue (nerve) inside the tooth dies the usual solution is to remove the tooth or do a Root Canal Treatment or Therapy. However, we sometimes use a third option which can extend the useful life of a tooth in an attempt to avoid extractions or Root Canal Therapy. This involves treating the external face of the nerve with a mix of zinc ointment and oil of cloves. If a Root Canal Treatment is chosen, the dead tissue inside the canal is removed and medicaments are used to sterilise the canal as much as possible. The Canal is then filled to avoid bacterial invasion. The material we use to fill the canal is called Gutta Percha. Gutta Percha is a natural product that consists of the purified coagulated exudate of mazer wood trees from the Malay Archipelago or from south America. It is biocompatible with the human body. 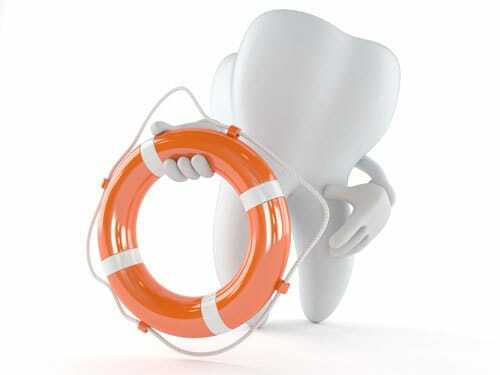 A well-done Root Canal will resolve the infection and promote healthy bone regeneration 85% of the time. At Friendly Smiles Dental we take each case individually and advise treatment depending on your condition and general health. We will review the decisions at each appointment and consider all implications and alternatives to RCT.